Back in June Supercell soft launched Brawl Stars on the Play Store for a few select regions, and today the studio has announced that the game will finally open its doors to the rest of the world this December. You can pre-register for the upcoming release right now, and there are even a few rewards you can earn by doing so. The trailer doesn't show any gameplay, but it does indeed announce a global release date for December, all with a little bit of style. We already know the game will play a lot like a top-down MOBA-esque shooter. This means you can expect it to feature real-time 3v3 battles, a battle royale mode, collectible heroes, daily events, as well as solo and co-op gameplay. Brawl Stars has been a long time coming, so it's nice to finally see an official release date for the game. I would hope Supercell has spent a lot of this time making sure that the gameplay is balanced. It can be tough to strike a perfect equilibrium for both paying and free players, but at least we know Supercell has some history with this concept. After all, Clash of Clans, Boom Beach, and Clash Royale are huge successes that have managed to click with the mainstream. 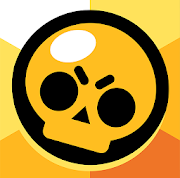 So it will definitely be interesting to see if Supercell has another success on its hands when Brawl Stars finally lands in December. We've still got a small wait on our hands before Brawl Stars makes its public debut, but at least we've managed to get a release date a little more specific than "sometime in December." Brawl Stars is set to arrive on December 12, in just a little under a week.